Mid 90’s all week! It feels like summer! Perfect time for some backyard cigar time. This week, thanks to our good friend Sean on Facebook we are bringing you EP Carrillo’s previous Short Run release, in an exclusive size. The No. 4 Corona. Store exclusive sizes and blended have been all the rage lately. Ernesto Perez-Carrillo teamed up with the New Hampshire tobacco chain, Federal Cigars to bring you the exclusive size to the vastly popular 2010 Short Run blend (Read our review of the 2010 short run here). Blended at the Tabacalera La Alianza S.A. in the Dominican Republic, the 2010 Short Run features an Ecuadorian Sumatran wrapper, Nicaraguan binder, and Dominican and Nicaraguan fillers. The No. 4 comes in boxes of 20 and will run you about $110. Very attractive pricing. For the record, the 2010 Short run came in 3 other sizes: Populares (4 7/8 x 50), Delirios (5 7/8 x 52), and the Doninantes (6 1/4 x 60). These are pretty hard to find, now the new Short Run New Wave Connecticut has been released (Read our review here). But if you are lucky you can still land a few. 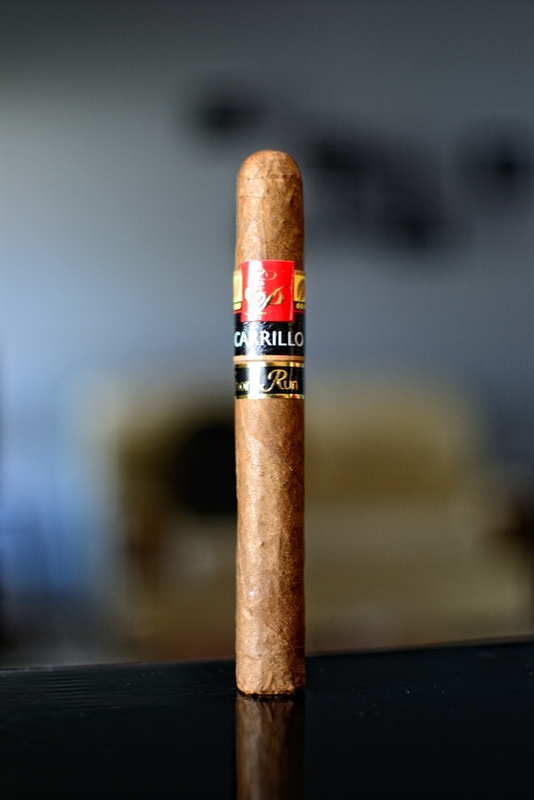 The EP Carrillo Short Run No.4 is a brilliant looking cigar. The aged, rustic looking wrapper boasts of silk and oil reflecting from it’s light brown and splotchy dark brown composition. I love this size. 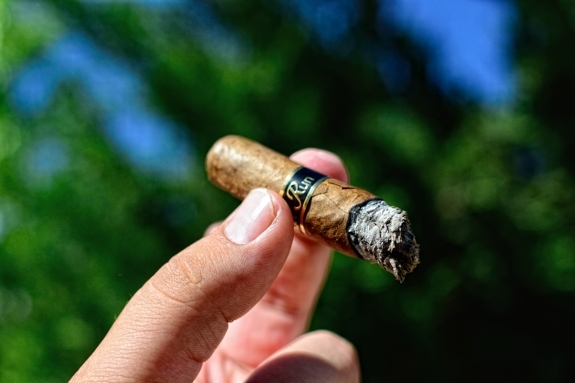 The wrapper feels mildly delicate, with the only soft spot being on the foot of the cigar. 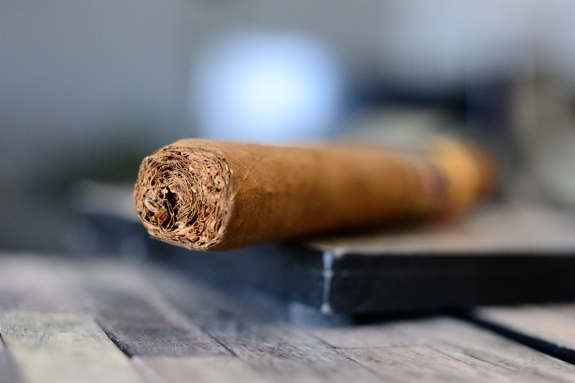 There are only a few, very small veins running throughout the body of the cigar, up to the nubby, round, triple cap. 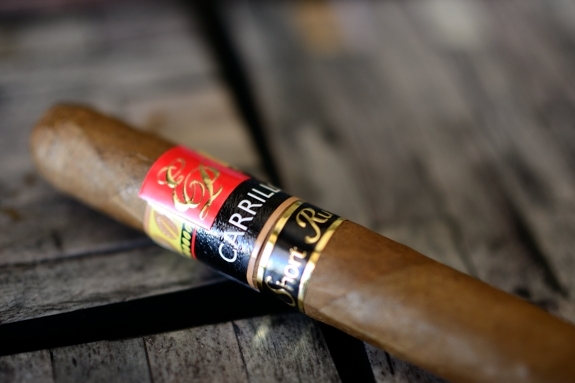 The EP Carrillo Short Run No.4 Federal Cigar Exclusive carries the same black band as the 2010 Short Run as well as the classic yellow, red, brown, white and black EP Carrillo Band. 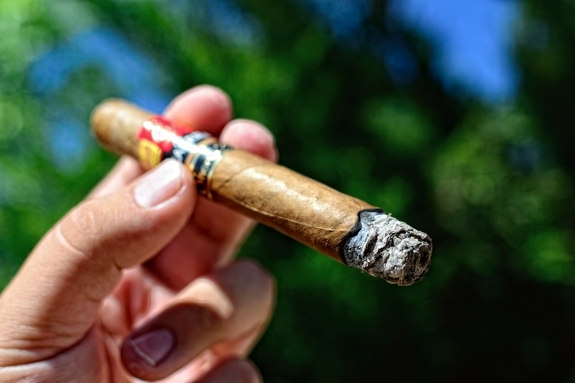 The wrapper of the cigar gives off a whole ton of tobacco and cedar aroma while the foot of the cigar carries a really sweet, cedar and spice mixture. The cap cut very clean and very easy using my Palio Double Bladed cutter. The cold draw produced this crazy bready, oaty flavor with hints of tobacco and spice. It seriously tasted like tobacco flavored cereal. 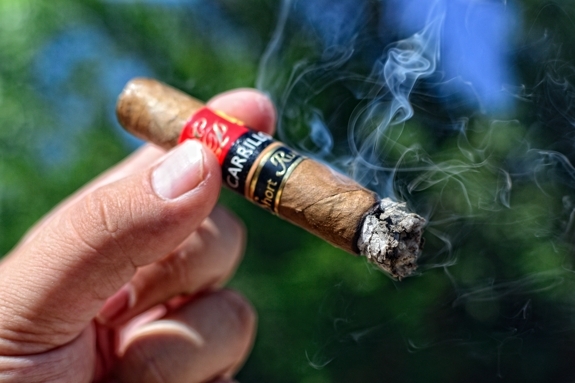 First Smoke: The EP Carrillo Short Run No.4 started out with some very pleasant spice and pepper along with lots of cedar, hints of graham, citrus, and sweet, sweet tobacco. The cigar doesn’t give off too much stationary smoke, but it smells almost identical to the flavor make-up described above. Each little puff kicks out just a ton of thick, white smoke. The burnline is slightly wavy and razor sharp. The ash left behind is bright white and every flaky. It held on for about ¾ of a inch before giving way. Halfway There: I don’t know if it’s from the wrapper and I am just now tasting it due to the smaller ring gauge, but this EP Carrillo Short Run No.4 is crazy sweet! Sweet as in, flavor, not “Dude, Sweet!”. I know I didn’t pick up this much sweetness in the other short run vitolas, although I wish I would have. It really sets the stage for the cedar and strong citrus/zest that the Short Run No.4 has to offer. There is also a bit of bittersweet chocolate sneaking in there, but it might just be the aftertaste on the beer I paired this cigar with. The burnline is still slightly wavy, but I haven’t had to touch it up at all yet. I am feeling absolutely no nicotine from this cigar yet. Finish: All in all this EP Carrillo Short Run No.4 took only about an hour to take down. The flavors in the last third of this cigar really took off. The cigar is pumping gout massive sweet tobacco flavors, tons of cedar, still lots of orange and lemon flavors, hints of chocolate, and a really subtle pepper. The body has remained pretty solid and mild/medium throughout, prompting no real nicotine kick. The burnline has finally completely corrected itself and is burning solid with no touch ups or relights. There is absolutely no harshness, even though it’s a smaller gauge, all the way down to the tiny little nub. There was some slight heat as I neared the final inch of the cigar, but that’s to be expected. I just couldn’t put this cigar down. Overview: Is it obvious enough that I really enjoyed this cigar? Hell, I’ve enjoyed just about every EP Carrillo has kicked out since his departure from La Gloria Cubana. The 2010 Short Run, and especially the No. 4 are up on top of that list. This is by far, the best vitola in the line, and really wish he would extend this size to all of the lines. You really start to appreciate the complex flavors of the wrapper that you just don’t get off the larger Ring Gauged versions. I love corona sized cigars for this reason. Again, this is an affordable, complex, and incredibly enjoyable cigar that fits right in with anyone’s regular rotation no matter how long you have been smoking. 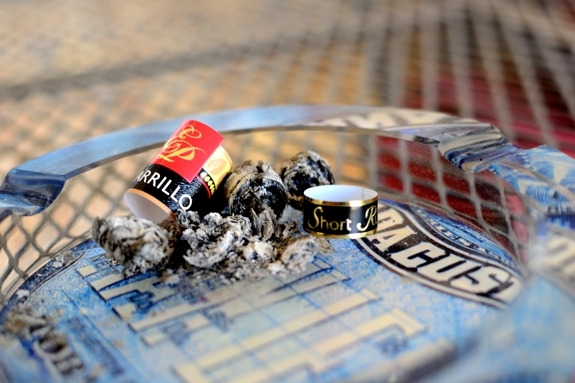 Pairing: Pairing up with this EP Carrillo Short Run No.4 was a bit tricky. Based on the blend make-up alone, I normally would spring for an IPA or nice, heavy ale. 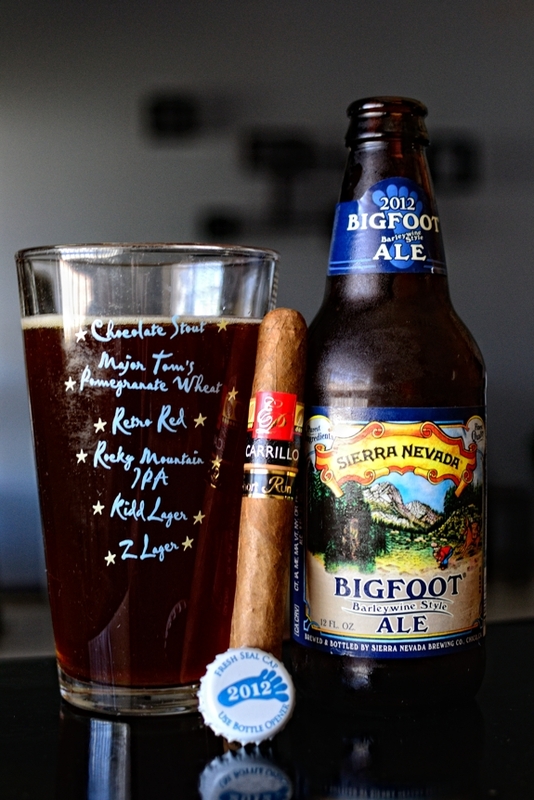 But I knew that this was a more complex cigar, and with that I paired it with a far more complex beer. Sierra Nevada’s Bigfoot Barelywine is an annual release that I never skip out on chasing down. This 9.6% ABV powerhouse is brewed domestically at the Sierra Nevada Brewery in California. The beer isn’t for the faint of heart. It starts out with some heavy hoppyness witch quickly transforms to a strong alcohol, malty, floral arrangement. 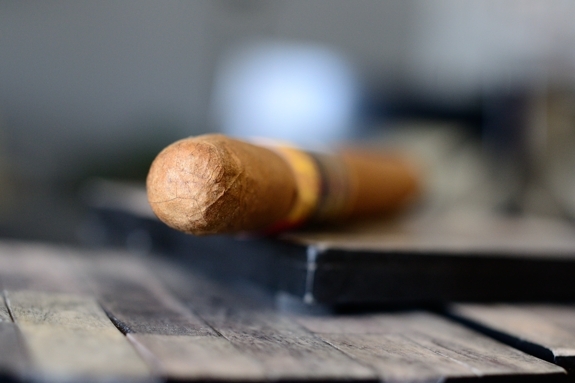 This cigar will quickly capture anyone’s attention. The floral and malty flavors went perfect with the citrus and cedar that this cigar kicked out. However, I can honestly say that the best pairing I have had with this cigar is sweet tea. Pure awesomeness. Related ItemsBareleywineBigfoot 2012Dominican RepublicEcuadorian SumatraEP Carrillo Short Run #4EP Carrillo Short Run 2010 No. 4 ReviewErnesto Perez-Carrilloexclusive cigarFederal CigarFederal Cigar ExclusiveNicaraguanno. 4Sierra nevadaTabacalera La Alianza S.A.
Nice! Really glad you enjoyed that smoke. Like you said, great price for an incredible cigar. Really wish I picked up another box. Good choice on the Bigfoot. Love that stuff. Thanks again Sean! Really, this was a hell of a cigar in a hell of a size. I just wish they were more available. Great write up, Tony. I only wish this was more widely available. I’ve wondered about this beer, but now I’ll have to take a second look. Best…. cigar…. ever…. Well you know. It is a great smoke. I bought a box earlier this year and have blown through them. I wish they were still available. I have started to really enjoy the short run vitolas, but the #4 2010 from fed definitely stands out. I agree totally. I was lucky enough to be hooked up with a few of these by Sean, one of our readers. Glad I did too, it’s a pretty significant difference between the vitolas.